How much can you save on a short sale in Keystone Heights, FL? The short sale process in Keystone Heights, FL, for a buyer can be very profitable if the situation includes a motivated seller and a cooperative lender. Find the best short sale homes and bank-approved listings available in Keystone Heights, FL, at Foreclosure.com today for as much as 75% off market value. 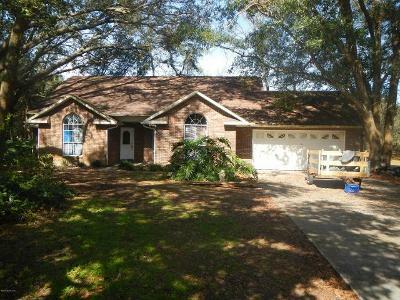 There are currently 1 short sale homes in Keystone Heights, FL, available for potential sale right now. Get the most current list of short sale listings in Keystone Heights, FL — and the information and tools to buy them fast — at Foreclosure.com. In those early days Brooklyn consisted of a large unpainted building called the Brooklyn Hotel; a combination general store and post office; and several small houses scattered about. Property Developer John J. Lawrence, who hailed from Pennsylvania, noticed the area on a visit to Lake Brooklyn, and instantly became attracted to the region. In 1921, the Lawrence family completed their home, the first house built in Keystone Heights, which overlooked Lake Geneva, and still lies there today at the corner of Jasmine Street & Lakeview Drive. The town would be incorporated as Keystone Heights, named after Lawrence's home state of Pennsylvania's nickname, the "Keystone" state, in 1925. After hearing of natural wonders and the many different lakes of the area, other families moved to Keystone, putting a strain on those attempting to build structures within the city. Helping to address the issue, in late 1922, C. Ray Lawrence came to Keystone Heights, and began laying out the streets and lots in the town. The next particularly significant event happened on New Year's Day in 1924, when the Keystone Inn opened. The inn hosted many events throughout the community, and became an icon for the town. Tourists visiting the inn would often also frequent the Chautauqua. A large open pit that effectively served as a type of amphitheater, the Chautauqua served as a beacon for various musicians, artists, and speakers from the Chautauqua circuit in New York. Within two years, people were traveling to the Keystone Inn and the community of Keystone Heights from great distances to experience the town for themselves. The small community boasted a public beach with a pavilion, picnic grounds and a nine-hole golf course. The University of Florida's football team would stay at the inn before their homecoming games. The inn no longer exists. It burned in October 1954, and was never rebuilt. There are currently 1 red-hot tax lien listings in Keystone Heights, FL.